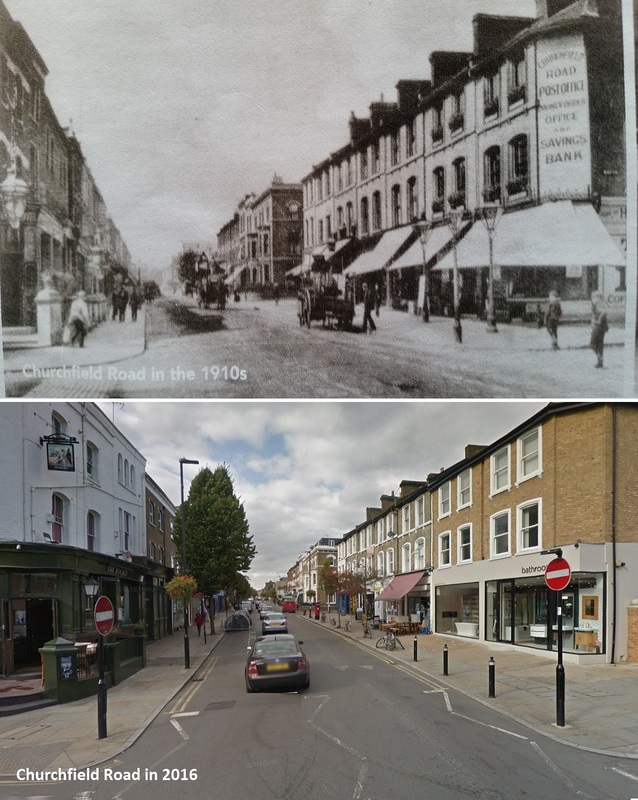 What Churchfield Road looked like in the 1910's to what it looked like in 2016. Where we are situated now used to be a Post Office & Savings Bank over 100 years ago! An interesting find from the archives that we thought would be nice to share. Established in 1979, Centralheat Acton Limited, trading as bathroomOne, are nestled in the heart of the coveted Poet's Corner neighbourhood of Acton, West London. Our family run business began by predominantly offering plumbing and heating supplies to local tradesmen. We were the first plumbing and heating retailer to open up in the area, allowing us the opportunity to grow rapidly in a short period of time, and in the process, build an extensive and loyal client base. Over the years, we've introduced bathrooms to our offering and have since evolved into a company focused on offering a portfolio of only the finest designer Italian, German & British bathroom brands to our clients, as well as providing all the plumbing solutions required to build a complete bathroom. If you're renovating or building a new bathroom, we cater to all budgets, having sold complete, individual bathrooms for £1,000, all the way up to £250,000 for a luxury collection of 25 bathrooms in a project based in Kensington, W8. Fast forward to 2015 and into our third generation of business, important and essential redevelopment was made to the showroom. This was to ensure that our clients were not only offered the most innovative and up to date collections in the present market, but also to ensure that they were showcased in the most beautiful way possible. To achieve this, a significant financial investment was made in order to create an uber-luxury bathroom showroom, exhibiting wonderful bathroom design concepts from world renowned brands including Duravit, Hansgrohe, Axor, CEA Design, Catalano, Crosswater, Bette, Geberit, Matki and Lefroy Brooks. If you are looking to renovate or build a new bathroom, or simply require some advice and/or some design inspiration, our new showroom is a must visit. As well as our newly renovated luxury London showroom, we redeveloped a segregated trade counter at the rear of the showroom. This allows us to not only offer the designer bathroom collections highlighted above, but unlike the majority of our competitors, it allows us to offer the full plumbing product range too, ensuring you are able to fully complete your bathroom installation with us, without having the need to go elsewhere for pipes and fittings. At bathroomOne, we are proud to offer our clients a complete bathroom solution. Please note, the entrance to the trade counter is on the side of the building. In July 2015, we said goodbye to our old website and launched a fantastic new website which we believe is at the forefront of design and functionality within the bathroom industry. Our quest was to build a website that was extremely user friendly and intuitive, whilst maintaining a minimalist and modern look. Significant time and thought went into the development, testing and launch of the website, and we are proud to say that our hard work has paid off. We hope you enjoy using our website and any feedback, good or bad, would be greatly appreciated! Please email us on info@bathroomOne.co.uk and let us know what you think, thank you! But please bare with us as we continue to upload products to the new website, on a daily basis. Our number one objective, since the inauguration of our business, has been to ensure that our customers received the best possible service, from the moment they walk in to the showroom, to the point of delivery. Every day, we strive to guarantee that our service remains unparalleled and amongst the best found anywhere in the industry. Being established since 1979 and continuing to grow through the decades has enabled us to build a reputation of providing great service to our customers. So often we hear stories from new customers saying they've purchased from other bathroom retailers and they've been waiting 5 weeks for just a toilet or basin when they were promised a maximum 2 week delivery time or that the sales consultants from other bathroom retailers missed out essential bits required for the bathroom or that the staff were unhelpful or rude when asked why delivery has taken so long. At bathroomOne, we promise to never under-quote the delivery time and in fact, the majority of our orders arrive before the quoted delivery we provide. We always keep our customers up to date throughout the order process up until the delivery date. We can also guarantee that we will make sure that every single angle is covered when ordering your bathroom suite. Our sales consultants may ask a number of questions, but this is to always ensure we don't miss anything off your order, like we hear so often from our new customers. Put simply, our greatest satisfaction comes from seeing a smile on our customer's faces. Part of providing great service is to ensure that our clients feel secure when thinking about purchasing goods from our website. To combat this we have the highest possible security measures in place, which can be found by clicking the 'Payment & Security' link in the footer. We assure you that your payment, personal and order details are completely safe and secure in our hands and will never be passed on or sold to third parties. It is important to us that our clients are offered only the finest quality products. To ensure this, we only supply products from a hand-picked selection of world renowned brands with whom we have built strong associations with since our birth in 1979, ensuring the highest standards are met for our clients. We are also authorised stockists of all the products listed on our website and displayed in our West London showroom.